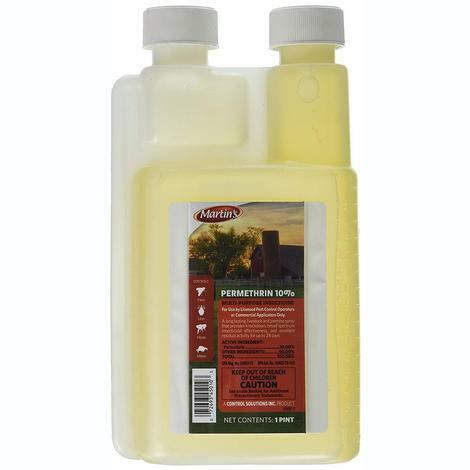 Martin's Permethrin 10% controls horn flies, face flies, lice and ticks, with a residual activity lasting up to 28 days. This multi-purpose insecticide is labeled for both indoor and outdoor use and can also be used on large animals, cattle, horses, swine, poultry, and dogs. Martins Pystol Misting Concentrate gives the fast knockdown needed to control flying insects as wells as residual protection. The misting concentrate kills & repels house flies, stable flies, horse flies, black flies, deer flies, fruit flies, horn flies, mosquitoes, gnats, and bott flies. 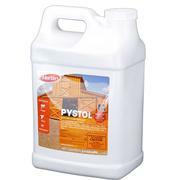 Use Martins Pystol Misting Concentrate as a fine mist or fog in automatic misting systems or handheld sprayers.